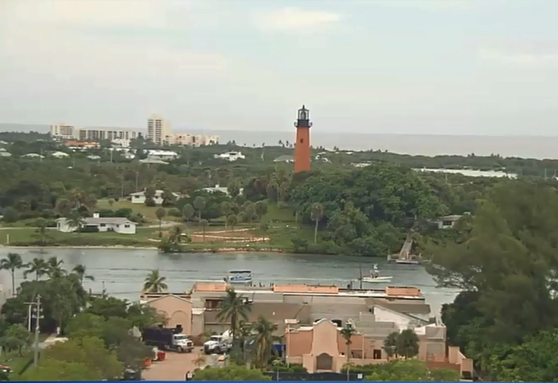 The Town of Jupiter is starting to make moves on a plan impacting life on the water for decades to come. The town's Planning and Zoning Commission making adjustments to its coastal management plan to include climate change and rising sea levels. 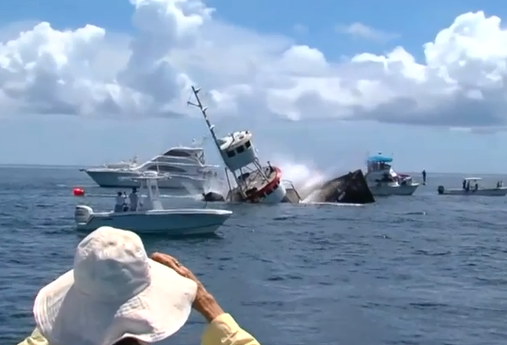 The move effects those who live and work on the water, like Jennifer and Brian Wilson, owners of the Lazy Loggerhead Cafe in Jupiter . "It's a very unique spot," said Jennifer. That's because it sits right on the ocean off in Carlin Park. Coastal flooding and other water issues worry her, especially during a hurricane. "The ocean creeps its way toward our back door," said Jennifer. To address those concerns and meet state requirements, the town of Jupiter's planning and zoning commission voted to incorporate climate change and sea level rise in their coastal management plan. "I think it's smart to be addressing those things. If we're not, we're sort of burying our heads in the sand," said Jennifer. "If we choose not to focus our energies on being proactive, we are the ones who in the end up losing." Climate change can be a topic of debate but either way, the state of Florida requires towns and cities to toughen their standards when it comes to sea levels rising in the next few decades. "It's not just a town of Jupiter issue, it's a Florida issue and a national issue," said Peter Robbins, a commissioner on Jupiter's Planning and Zoning Commission. "We're making sure that we're being proactive and looking to the future to deal with sea level rise, climate change, and coastal flooding." And it's not just climate change. Under the new policies, the town will ensure their system is up to date to better handle stormwater drainage and identify areas that might have flooding challenges. The town must also be equal or stricter to state code when it comes to constructing new buildings. Right now, Jupiter requires 1.5 feet above base flood while the state requires one foot. "It's really about looking over the horizon at what's coming and making sure you're planning for the future," said Robbins. "This is a priority for the town and we're making sure we stay ahead of it to the extent we can." Jupiter town council will make a final vote on the recommendations by the zoning board during their council meeting on September 20. "Being proactive and looking at what we have on the books -- looking at how to adjust that and strengthen that, that should be an ongoing process that evolves over time as we learn more about sea level rise, as we deal with more hurricanes and storm surge," said Robbins. "It's a natural part of the planning process that really protects what we have."